Our product range includes a wide range of bronze cast bush and casted gunmetal bushes. Our firm is dealing in the manufacturing and supply of Bronze Cast Bush. 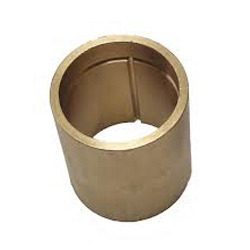 The offered cast bronze bush is an ideal bushing material which is able to withstand heavy pressures and stresses. Our offered cast bronze bush is widely relied upon, due to the mechanical stress bearing ability. The offered cast bronze bush is widely used in the rotor applications across the machine market in the country.